Parents who wish to have their infant baptized at Church of the Blessed Sacrament need to meet the following requirements. These requirements have been updated as of June 2015. 1. Parents must be registered and currently attending Church of the Blessed Sacrament for six months before any baptism can be scheduled. 2. 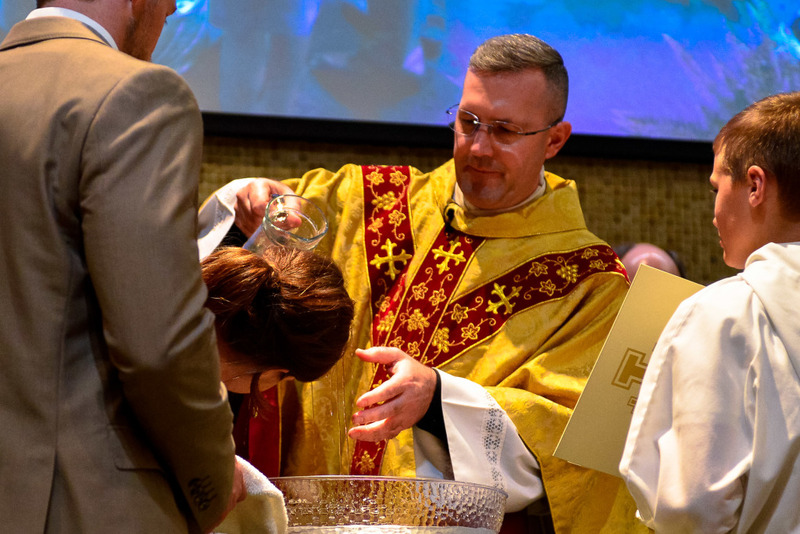 Parents must attend a Baptismal Preparation Class if seeking Baptism for a first child or if they have not previously attended a class for a previous child. Please contact Katie Pechin three to four months prior to the birth of your child. For permission for a baptism to take place at another parish, the above requirements must be met along with a letter from the Pastor. Please download the Godparent Certificate Form. Do you need a copy of your Baptism Certificate? Please contact the parish where you were baptized. If you were baptized at Church of the Blessed Sacrament, please contact Wilma Brannan, Sacramental Records.